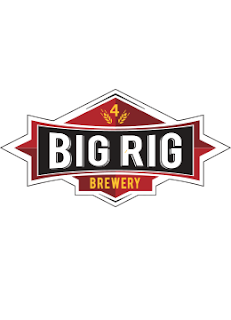 The new year is starting off on a sweet note for Big Rig Brewery. In collaboration with Ottawa Showbox, the brewery is hosting its first ever Taproom Session on Saturday, January 30, featuring special guests Amos and the Transparent. The event offers an opportunity for the brewery to showcase how they create their award-winning beer and gives fans a chance to see Amos the Transparent in an incredibly intimate setting. “We’re huge fans of music and Taproom Sessions allows us to pair our beer with amazing bands in a unique setting,” says Lon Ladell, brewmaster and co-owner of Big Rig Brewery. The brewery teamed up with Ottawa Showbox, one of the city’s largest and most influential music communities, to curate the music for the inaugural event. Amos the Transparent was a natural first choice. “The band has been a staple in the music scene for over a decade,” says Matias Muñoz, Ottawa Showbox founder. “They’re one of the brightest bands in the country and to get to see them in such a small space is rare thing.” Tickets are now onsale via Universe, which gives you a brewery tour, one drink ticket and, of course, Amos the Transparent.